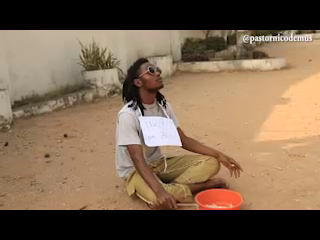 Just days to Laughter Synagogue season 2, Pastor Nicodemus gives his loving fans a lil of what to expect at the show. *lol. On this one Nicodemus goes blind or deaf and dumb as the case maybe. (O_O) hahhahahah. Laughter Synagogue comes up on the 8th of February 2015 featuring the likes of Klint D Drunk, Jumabee, Dr Chuks, Danni, TK Swag and lots more. Go get your tickets today as seats are limited oh.